Get discovered by the latest recruiters on iContract BETA! Finding it difficult to get discovered on iContract BETA? Here’s how you can improve your profile and increase your visibility to recruiters and hiring managers! Use our fabulous ‘CV import’ tool to enhance your iContract profile quickly and easily. 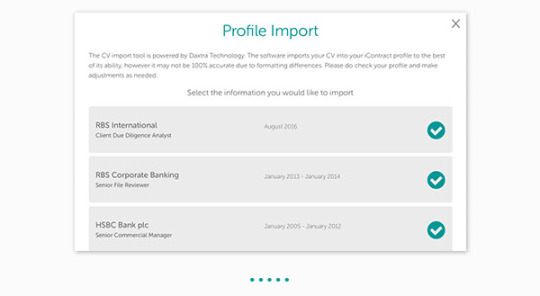 Just click the ‘Import CV’ button at the top right of the profile page and select and upload your CV. You can then select from it what you want and don’t want to be included in your iContract profile. Now maybe your CV is missing a few things you want to include in your iContract profile for recruiters to see. 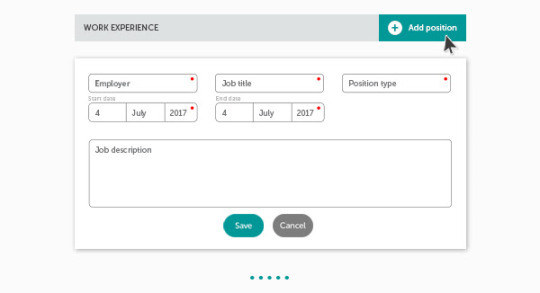 You can always add a position using the ‘Add Position’ button in the work experience section or make further edits to your work experience by clicking on a specific section of a current or previous job position, and amend and save changes to this role as you see fit. Once you’ve made these changes, you’ll notice your Profile Strength bar will have increased. Your iContract profile should now be in a healthier state and you’ll have greater success applying for contracts and getting discovered by recruiters. Here’s to creating a winning profile on iContract! Be sure to take a look at some of the latest contracts to have been posted live on iContract BETA today!